Hi there! I am a Catholic homeschooling mama living out my vocation as wife and mother. We live in Dallas, where my husband works as a chiropractor. We have a passion for living as healthy as we can, from holistic, gut-health focused eating to creating a non-toxic home. I love all things crafting and making, and one of my passions in this vocation as wife and mother is making our house beautiful, comfortable, and faith-centered. As a former Catholic school teacher and lover of all things Montessori and Charlotte Mason, I am drawn to creating a home education full of hands on work and fun. One of our biggest reasons for homeschooling is the ability to weave our Catholic faith in all it's awesomeness into our daily routine, celebrating special Feast Days and learning the richness of our faith! My heart in this blog is to share these pieces of our life with others - grow with us and follow our journey in healthy living, holistic eating, making things pretty, and Catholic homeschooling! It doesn't get much better than being married to your best friend and man of your dreams, does it? Daniel is my college sweetheart, and we've been married for ten years! Growing up in life and in faith with this man has been one of the greatest treasures. While our marriage is far from perfect, it is our anchor. 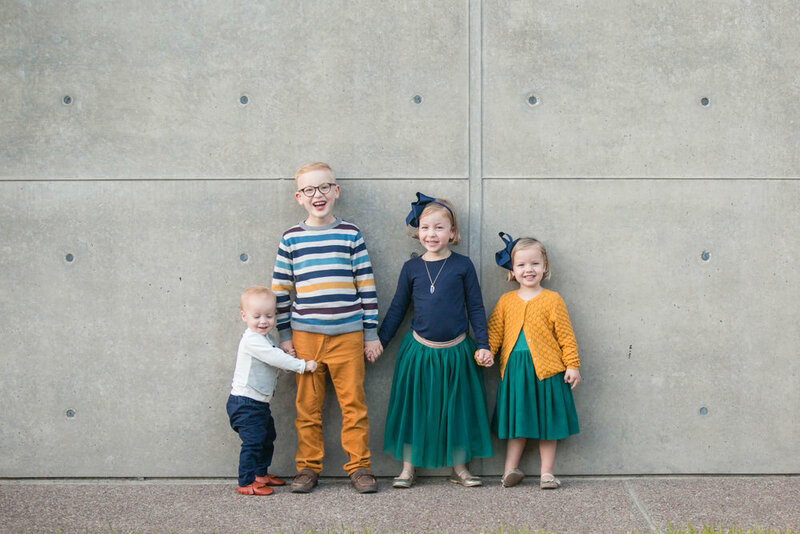 Meet our four little loves - Charlie (8), Charlotte (6), Violet (4) , and Pax (21mo)!